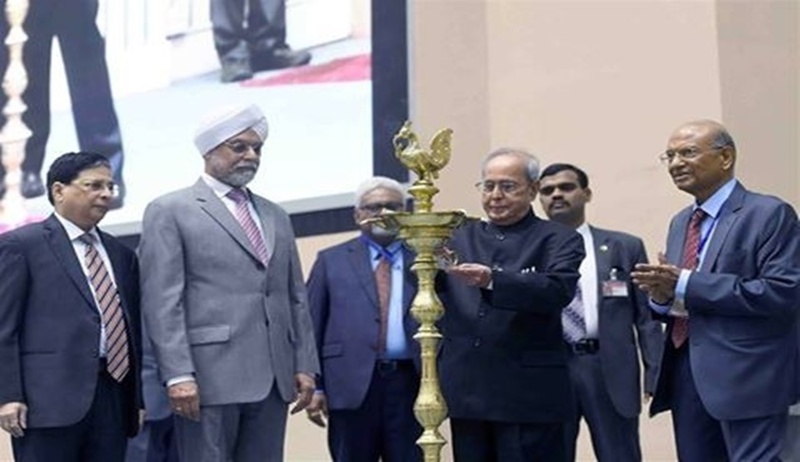 President Pranab Mukherjee on Saturday said a voluntary code of conduct must be developed by political parties as an institution to be accountable to the 800 million voters in the country. He said this while inaugurating a two-day national seminar on "Economic Reforms With Reference to Electoral Issues” held by the Confederation of the Indian Bar in New Delhi. He said a strong electoral system was necessary to strengthen the democratic structure of India. “A voluntary code of conduct must be developed by the political parties as an institution. If we have that then, perhaps, many issues could be addressed,” Mukherjee said. Concerned over the issue that no political party has scored 51 per cent of votes for the Lok Sabha, he said political parties even with a low percentage should be held responsible and accountable to the voters. He cited only former Prime Minister Jawahar Lal Nehru had scored nearly 50 per cent of votes in 1957 and his grandson Rajiv Gandhi got nearly 48 per cent votes in 1984. Since then, no political party scored a good percentage for which they do not pay heed to their responsibility towards the electorates. The President said generally in coalition governments in the past, the political parties with low percentage showed accountability to the voters, but it has been experienced that due to unstable governments, frequent elections were held. He also supported an increase in number of seats in the light of vast population in the country. “To give true expression to the will of the people, it is time that we look at legal provisions on the delimitation of Parliamentary constituencies with a view to increase their number…,” the President said.